Large-leaved lupines around the Hakai Institute on Calvert Island. The pea-like structure of the flowers is obvious in the top right close-up photo by Gillian Harvey. Bottom right and left-hand photos by Kelly Fretwell. Large-leaved lupine is a large perennial plant that grows from a branched rhizome. The stem is upright, generally unbranched, and grows to 1.5 m tall. This sturdy stem bears a dense cluster of purple or purpley-blue flowers along most of its length (to 40 cm). The flowers are pea-like, and 1.5 cm long. The hairy 5 cm long pods produced by this plant are also pea-like. Large-leaved lupine has some long-stalked basal leaves as well as some lower stem leaves. The leaves are composed of 10-17 leaflets in a palmately compound arrangement, and the largest leaves are about 25 cm in diameter. Large-leaved lupines grow in open, moist to wet habitats from low to middle elevations. Look for it in wet meadows, clearings, open forests, and along streambanks and shorelines. It is more common in the southwest of the province, including Vancouver Island. Its occurrence decreases northward, though it is found as far north as southeast Alaska. Its range stretches southward to California and Idaho. It has been introduced to areas in eastern Canada, Europe, and New Zealand. It has naturalized in parts of Europe, and is now an invasive species in New Zealand. This is the only subspecies of L. polyphyllus found in BC. A few other lupine species look similar to large-leaved lupine in some respects. Arctic lupine is smaller overall, and has fewer leaflets per leaf. 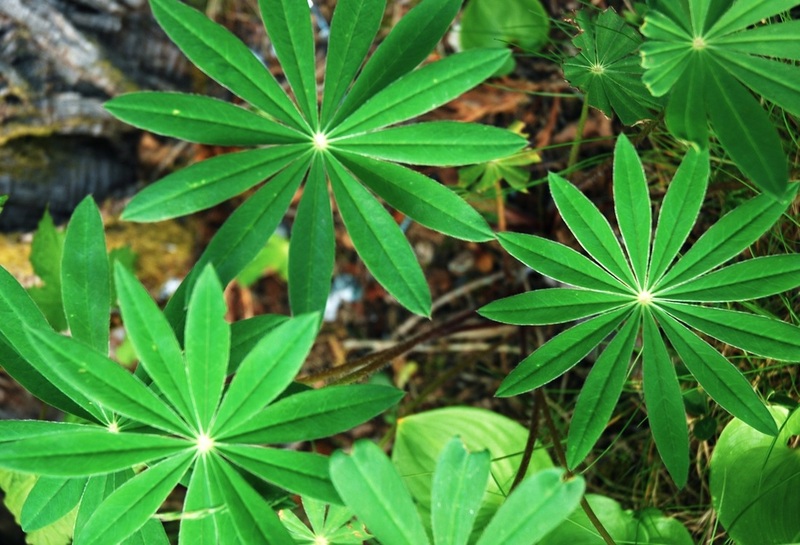 Nootka lupine is also generally smaller, has smaller leaves with fewer leaflets, and the undersides of its leaves are hairy. 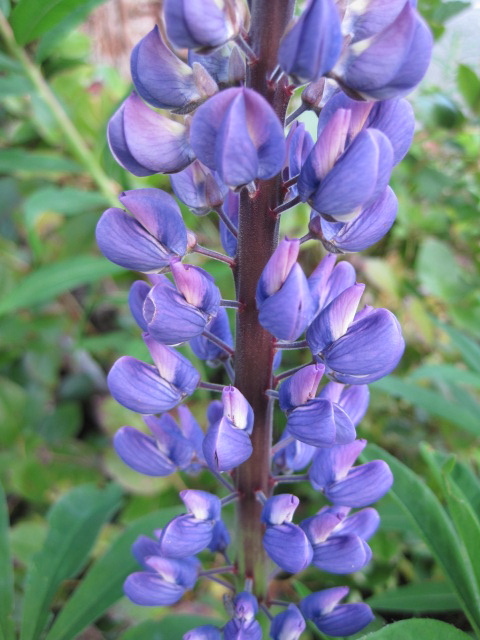 Click here to see a list of other lupine species found in BC. 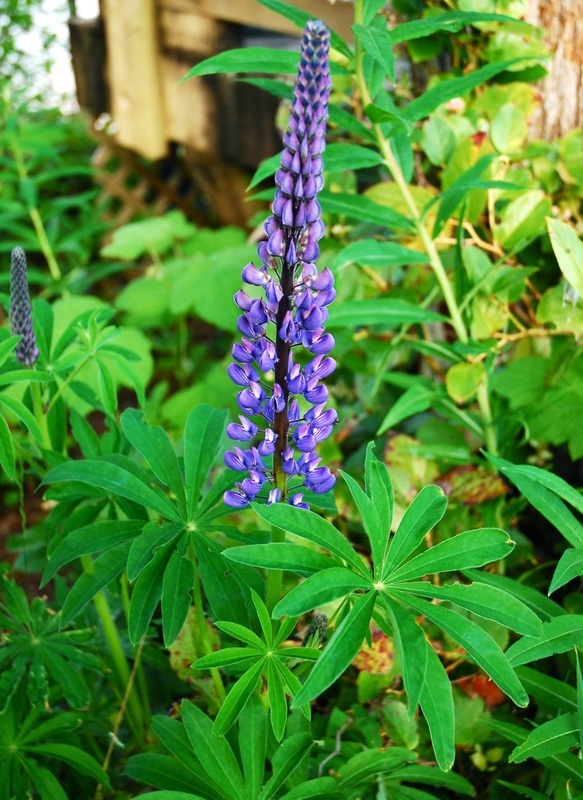 Large-leaved lupine is a native species, but is also cultivated in ornamental gardens. Although the usual colour in nature is blue or violet, other varieties have been cultivated in many different shades and colours. Some information on cultivating this species is available from the BC Ministry of Environment. It may be quite desirable to cultivate in some areas as it is a nitrogen-fixing plant, and so can increase soil fertility. In Belarus and Ukraine large-leaved lupine is cultivated as fodder for livestock. Lupinus species can be toxic, but the level of toxicity varies between species. This species is in the Kew Gardens Millennium Seed Bank. Hughes, C. and Tredwell, E. (Eds.) Lupinus polyphyllus (large-leaved lupine). Kew Royal Botanic Gardens. Accessed 26/08/2013. Lupinus polyphyllus Lindl. subsp. polyphyllus. In Klinkenberg, Brian. (Ed.). E-Flora BC: Electronic Atlas of the Plants of British Columbia. Lab for Advanced Spatial Analysis, Department of Geography, University of British Columbia, Vancouver. Accessed 26/08/2013. Pojar, J. and MacKinnon, A. (1994). Plants of Coastal British Columbia. Vancouver, BC: Lone Pine Publishing. P. 195.